HEX SLOTTED NUT | zero products inc.
Hex Slotted Nuts are internally threaded and hexagonal in shape nuts that have slots cut across the top for use with a cotter pin for locking purposes. 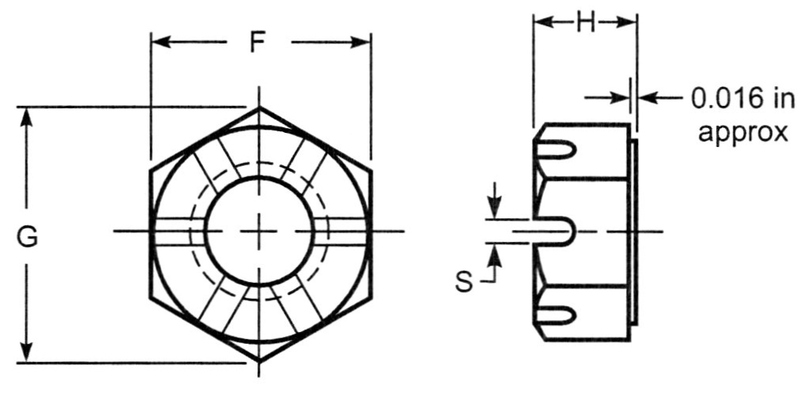 Castellated nuts are used in low-torque applications, such as holding a wheel bearing in place. Zero Products Inc can manufacture any SIZE with any type THREAD in any MATERIAL and COATINGS you need.